Warranty – 3 years with accidental damage. Let’s face it. Your high school teenager is going to drop their laptop. It will happen. If you doubt this, look at the condition of their text books and backpack after 12 months. What about 3 years? Laptops are fragile and are difficult and expensive to repair. Get a long warranty, with accidental damage cover if you can. There are two different technologies for hard drives – SSD (solid state) and “normal” laptop hard drives. Normal laptop hard drives are older tech and have physical spinning discs. Normal hard drives are larger, use more power, run slower, can “crash” and break down far more often. However they have larger capacities. If you see a laptop with 500Gb or 1Tb hard drive, you can be sure it is a normal hard drive. The laptop versions of normal hard drives are a bit more rugged that your desktop hard drive, but even slower and lower capacity than their desktop cousins. SSD hard drives are smaller in size and capacity, and are like memory cards – no moving parts and very fast. They use way less power too. The catch is they die after about 5 years (normal hard drives are lucky to last that long anyway), and they are much more expensive. So to keep the cost reasonable they tend to be a lot smaller. However 32Gb is just too small for a hard drive. 128Gb is the go. If you have to get a 64Gb drive you may manage OK. Just don’t get 32Gb – that’s just silly for a Windows 10 computer. SSD is the smart choice. The speed of the hard drive matters because on all other counts this laptop is likely to be a bit on the slow side of things. A slower CPU = a longer battery life. So to make up for the sluggish CPU, get a faster (SSD) hard drive. Screen size determines the overall size of the laptop, and how much battery power it takes. So for a smaller system that won’t break your kid’s back, and will last all day long, get a smaller screen. There are reasons to get a larger screen – for example if you have a child with glasses (like I do), or if they are doing high end graphic design or CAD work – a larger screen might be warranted. But for most students an 11″ screen equals a small, light, and long battery life computer. I took my daughter (who doesn’t wear glasses) to JB Hifi and we looked at screens, and while the 11″ was too small for my older eyes, hers were fine with it. We still bought one through her school anyway, but it was good to check the screen size in person. As this laptop will mostly be using Word or other simple software, it doesn’t need to be the fastest thing going. Also a fast CPU will drain the battery quicker, so a slower one is a benefit. Usually I have a minimum of i3 for a laptop (i5 for a desktop), but with an SSD hard drive to speed things up and long battery life being more important, the Pentium class CPUs offer good value for money and are tolerable. Try them out. RAM – usually 4Gb or 8Gb. More than 8 is wasted, and most people won’t notice the difference from 4 to 8. Gaming / CAD / Video editing – 8 is the minimum, but school laptops don’t need it. Dedicated Graphics – No. Dedicated graphics means there is a separate graphics processor to help render graphics. Useful if you want to edit movies, do 3D design work, or play computer games (though you are better off getting a separate desktop for gaming or movie work. Gaming and battery life are opposite objectives for computers). Dedicated graphics cards chew a ton of battery. If you see something like Intel HD Graphics 620, then this is probably integrated = long battery life. If you see AMD or NVIDIA, it is a separate (dedicated) graphics card which means short battery life but better gaming, movie editing and 3D CAD work. CD/DVD – not needed anymore. Everything is downloadable. 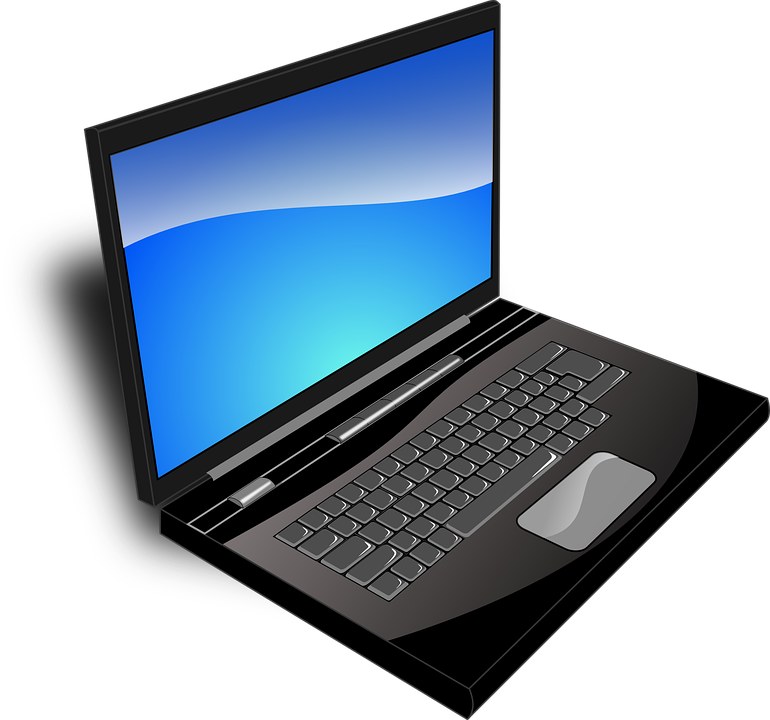 Connectivity – wifi is standard on all laptops these days. It may have a network port which you probably don’t need. It should have 1 or 2 USB ports, and probably a display port or similar output for an external monitor. You will never use the Bluetooth and probably not the memory card slot if it has one (a memory card slot on a laptop is primarily there to read your camera memory card). Extras – Consider an external keyboard, mouse and monitor if this is the only computer your child will use at home as well. One tip is to get a wireless desktop bundle of keyboard and mouse together (like the Microsoft Wireless Desktop 2000 for about $50), which only uses one usb port for the wireless receiver instead of one each for the keyboard and mouse. Some smaller laptops only have 1 USB port (though again you can use a USB hub). For the monitor you will need to check what type of output the computer has and probably buy an adaptor (like display port to VGA or mini display port to HDMI – check your laptop). Monitors are quite affordable these days – $200 will get a decent 23″ LG screen or similar. External keyboard, mouse and monitor allows your child to sit upright instead of hunching over a tiny keyboard and screen. Obviously you set that up at home and not at school. Microsoft Windows – your laptop should come with Windows 10 Home installed. Unless your school specifically requires it you don’t need Windows 10 Pro. They will spell it out if you do, and you can always upgrade Windows later if you need to, but 99% of the time Windows 10 Home is all you ever need. Microsoft Office (Word, Excel, etc) – no need. Australian secondary school students can get a free copy of Microsoft Office. Antivirus – Laptops often come with a trial or 60 day antivirus, and Windows 10 has inbuilt antivirus, but it’s not good enough. The only one good enough is Malwarebytes. Click here to read why. I don’t pay to repair laptops. Once the warranty is expired, then as soon as something breaks, I bin it. Computers follow a bathtub curve for failure rate. Very high initial failures (dead on arrival or within days of use) and then practically no faults until a certain point (2-4 years depending on the brand, less if abused), and then it’s one thing after another. As soon as the first thing goes, chuck it out. The reason is that the failure of one component usually predicts (or causes) the failure of others. A dead fan may cause the CPU to cook, which then damages the motherboard, which then fries the RAM and overheats the hard drive. A cracked screen means the laptop has suffered a drop, which will also damage the motherboard and hard drive. And sometimes they will fail at the same time, sometimes they will fail weeks apart, one after the other. Also, there’s the cost. Your laptop is only going to last another year or two at best after a major repair, so spending $500 on a repair isn’t worth while when you can put that towards a new machine that will last 3-5 years, plus the new computer will be faster, have a larger hard drive, and a fresh install of Windows – it will be way better. So, as soon as something breaks outside of warranty – throw it away. Oh, and don’t forget to make regular backups of important data. Consider using Microsoft One Drive to store files – they are synced and backed up to the cloud automatically. You get what you pay for. There is very little difference in the cost to companies for their parts, and excluding Apple, the manufacturers make very little margin on hardware. So a cheaper laptop is cheaper for a reason. The less reputable brands do things like using tablet CPUs (like Atom), or desktop CPUs (the laptop versions of CPUs are more expensive, but specifically designed with low power usage in mind). I also find the build quality and number of hassles you have with a really cheap machine is not worth it. You never regret buying quality, and in computers it usually doesn’t cost too much more for a good one. Microsoft (Surface Pro) – I own a Surface Pro and it is the best laptop I have ever owned. Bit expensive, but magnificent. You can buy aftermarket shells or covers to protect them too. You can’t replace the battery though, but it lasts a long time. The Surface Pro is fast, acts like a laptop or a tablet, has full Windows 10, an amazingly beautiful screen, and is small and light for a laptop. Yes, I’m very biased. Apple – Expensive and check your school supports Apple computers – many don’t and you will never hear the end of “Oh, not sure how to do that / that program doesn’t work on an Apple / this file is incompatible with Apple / no idea how to connect to your Apple…” In a word: Nightmare. Just don’t. And no, I’m not an Apple hater. I own a Macbook Air, and I love it. Great for doing your own thing. But I would never inflict the pain that goes with an Apple on anyone trying to work within a system like a school. Also non replaceable batteries. HP – my second pick after the Microsoft surface. Typically well build and work well. Just uninstall all the bloatware (unwanted extras) they add on – like McAfee Antivirus (it’s complete rubbish – use Malwarebytes instead). HP machines vary in performance quite drastically – stick to the CPU and other hardware suggestions above and you’ll be fine. Dell – Dell are typically decent. Just check the warranty (next day onsite is a hundred times better than “post it back to us”) and delivery time – sometimes it is 2-3 days, other times it is 2-3 weeks. Toshiba – I haven’t bought one in years, but people still tell me good things about them. Lenovo. In 2005 IBM sold their hardware business to their Chinese manufacturer who continued to make computers under the Lenovo brand. The early ones were indistinguishable from IBM computers, but as time has gone on the quality has reduced (along with the price). Many schools partner with the likes of Dell, HP, etc and include onsite support and accidental damage. These options are well worth looking into. They are more expensive than the cheapest Acer at JB Hifi, but entirely worth it. I am in the IT industry and have access to wholesale computers and such, but I still purchased a Dell for my daughter starting grade 8 through the BYOD program (with accidental damage cover). Her high school is going to look after any IT support and arrange any warranty claims for laptops bought through their partnered BYOD suppliers. I’m an IT guy and even I find that idea attractive. If you want a simple solution that is pretty much guaranteed to work, just get one from the BYOD suppliers partnering with your school. Sounds like your only recommending your prefered brands and chipsets. As an IT tech for a school myself, I can honestly say ignore this and speak to someone that isn’t bias towards brands and chipsets. Thanks for commenting. I’d love to hear about your experience with different brands and chipsets. This is a personal recommendation, because I’ve had many people ask me in person as I’ve been in IT for over 20 years, and for many people I am the one they ask about computers. The main reason I recommend those brands, is they are the ones I have had the least trouble with. I’ve had to fix thousands of computers in my time, and like cars, some brands are better than others, and when I asked my mechanic, he said Toyota is what you should buy if you don’t like hassles. And these brands (and chipsets) are the ones that give the least hassles. You see it’s usually about manufacturers making things cheaper – for example if they go for an AMD CPU, they have probably reduced the cost on say the cooling fans too – using sleeve bearings instead of ball bearings – which means a reduced lifespan and more likely to fail. So I’m making suggestions for PCs that aren’t as likely to fail or disappoint. See, I’m making recommendations for parents – not IT people. Personally, I build my own computers, only buying name brands for laptops (just love my MS Surface and Macbook Air). But that’s because as an IT guy, I like tinkering and swapping out bits and upgrading and all that, but for the average parent, who just wants something bulletproof for their kids, I know they will have a lot fewer hassles with the brands I have recommended after seeing so many of them over the years. The only other people most parents ask is the 20 year old sales person at JB Hifi, who typically has very limited experience in repairing the computers, and will usually recommend the computers his or her sales manager is pushing that month. You are welcome to have a different opinion to me. I’m not all knowing, and the world is a better place when we have different opinions and respect others’ rights to do so. And as I said, I’d love to hear your input if you have had a good run with a particular brand at your school. I disagree about Lenovo being OK. They charged $770 and were going to take over 7 weeks to fix a broken screen on my son’s laptop. I gave up, asked for my $770 back and plan to buy a new (non-Lenovo) laptop. Wow. That’s terrible. I haven’t had one in years, and it sounds like they are getting even worse. I have removed them from “OK” computer brands to “Brands I Don’t Buy”. I have also added a section warning people not to repair laptops – you made the right call there.